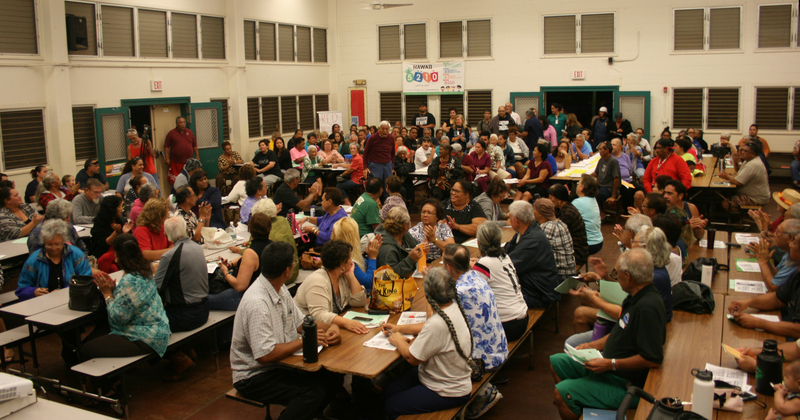 Your manaʻo is being sought on the Beneficiary Consultation Report for the recent round of statewide beneficiary consultation meetings on proposed changes to the Department of Hawaiian Home Lands’ administrative rules. From October 27, 2015 to December 10, 2015 the DHHL conducted statewide beneficiary consultation meetings to discuss with and get feedback from beneficiaries about the proposed rule amendments. In all, ten consultation meetings were held and over 700 beneficiaries attended. The format used at the consultation meetings was designed to solicit beneficiary input through facilitated conversation focusing on how the proposed amendments could be made better. The Beneficiary Consultation Report was presented to the Hawaiian Homes Commission by staff in March 2016. The report includes a summary of the beneficiary consultation process, a complete record of beneficiary comments received during the consultation period (October 2015 – January 2016), and staff analysis of beneficiary comments.